Preparing people for eternal living. Grow believers into maturity in Christ. Serve the world through the power of the Holy Spirit. God's Word is our authority and our standard. We seek to do all things in excellence. We intend to live our lives with godly stewardship. We practive baptism by immersion as a part of the salvation process. We recognize baptism as a positive command of obedience within the Scriptures. We observe the Lord's Supper on a weekly basis. Acts 2:42 indicates that this ordinace was a regular part of the worship in the early church. We simply call ourselves Christians. We believe God is our Heavenly Father. We believe that Jesus is the Christ, the Son of the Living God and our Savior. We regard the divinity of Christ as fundamental truth of the Christian Faith. We believe in the Holy Spirit, both as to his agency in conversion and as a dweller in the hearts of Christians. We believe in the future punishment of the wicked and the future reward of the righteous on Judgement day. We believe God is a prayer-hearing and prayer-answering God. We plead for the unity of God's people. We maintain that all ordinances should be observed as close to what was done in the time of the apostles. Christian fellowship is not based on creeds or a set of rules but rather on a commitment to the faith that Jesus Christ is the Son of God and one's personal Lord and Savior. 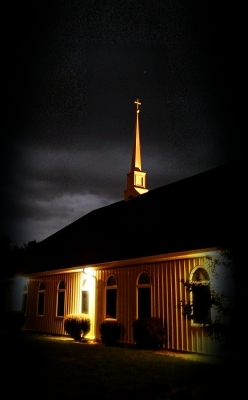 Our congregation was birthed by Bethany Christian Church of Anderson, Indiana. 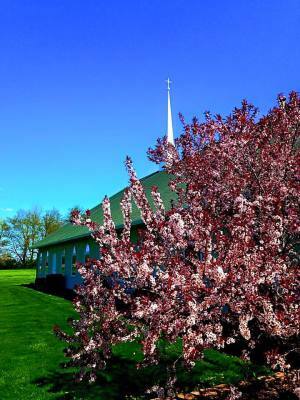 Their plan was to start a congregation in the Daleville-Middletown community. Tri began by holding home Bible studies from July 1 until the first service on November 24, 1991. We met at Ballard Funeral Home in Daleville for one year and then moved to the Fairfield Professional Building of Middletown. Fairfield was our location for eight years at which time we moved to the present facility in 1991. We are now located on our 16 acre campus at the edge of Middletown.